Get reliable and affordable metal roofing installation from 5b Roofing LLC. 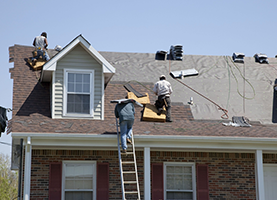 When you need flat roof repair or want shingles installed, 5b Roofing LLC will give professional help. 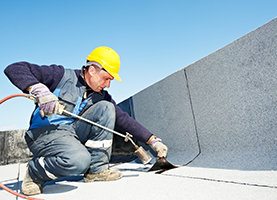 Commercial, industrial, and residential customers in the Bellevue, ID area regularly turn to 5b Roofing LLC for quality roofing installations at the region’s most competitive prices. At 5b Roofing LLC, I am fully licensed and insured and I make your complete satisfaction my number one job. I will service you as the best flat roofer, metal roofer, and shingle roofer available, I am dedicated to doing my top work, and I will pay attention to every detail. No job is too small or too large and complex for 5b Roofing LLC to handle. When you call, I will meet with you to go over your needs and will fully inspect the roof that needs repairs or replacement. If needed, I can review with you your roofing options, describing for you the pluses and minuses of each and their cost so that you can make a fully informed decision. 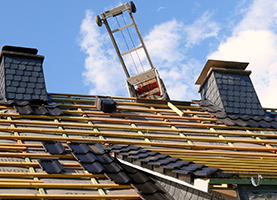 Roof replacement is a major expense for the owner of any building that requires it, whether you are a home owner or the chief of a major industrial operation. Don’t select a roofer simply because that roofer is the cheapest. There could be a good reason for that and you could discover shoddy workmanship, incorrect installation, or substandard materials only after you have paid their fee. After you have done your homework, I am certain you will find that the professionals at 5b Roofing LLC will fit the bill. Over the years, we have become the premier roofing specialists in the Bellevue region and have gained a loyal following. Find out what others in Bellevue already know and contact 5b Roofing LLC for top quality, affordable roofing. Call me for a free, no obligation estimate.